A case of 12 Chocolate Bars for the price of 10 means a savings of almost 20%. Now that’s a sweet deal! Available in Milk Chocolate, Semi-Sweet 56% Dark Chocolate, High Seas Organic 70% Dark Chocolate or a mixed Case featuring 4 of each bar. Each bar is approximately 50g. This take-out box will satisfy any craving for caramel and nuts. A variety of Tortugas and Bear Claws in dark, milk and white chocolate fill this box and look fun doing it in true take-out style! Tortuga is Spanish for turtle, and these freshly-toasted candied pecan and caramel clusters enrobed in delicious chocolate are an irresistible treat! 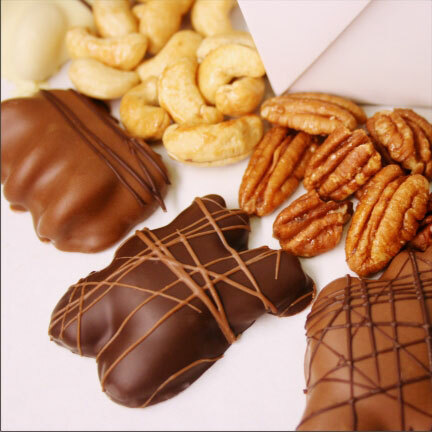 Our Bear Claws combine our freshly-toasted candied cashews and creamy caramel enrobed in chocolate for a crunchy, chewy bite of heaven! This is a great sampler of our Chocolate Tofino signature chocolates. Inside each Medium Gift Box you will find: 2 Hazelnut Rainforest Crispy Logs, a Solid Sea Shell wrapped in Gold Foil, an Organic Lavender Truffle, an Espresso Brick, a Maple Vanilla Bean Caramel, a Classic Mint Truffle, a Hazelnut Buttercream, a Grand Marnier® Caramel, a Wild Blackberry Buttercream and a Strawberry Cream Starfish. 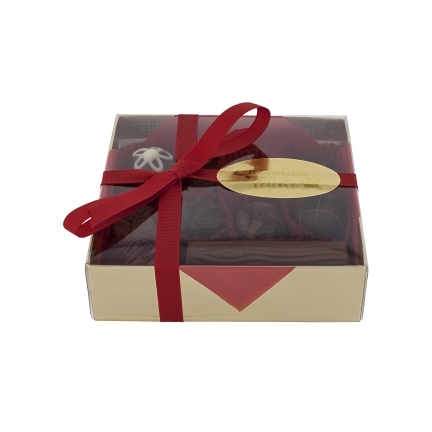 The ultimate Chocolate Tofino gift box, this beautiful selection has two or three of everything in the cabinet! Each box has the following: 4 Hazelnut Rainforest Crispy Logs, 2 Solid Sea Shells wrapped in Gold Foil, 2 Strawberry Cream Starfish, 2 Organic Lavender Truffles, 3 Espresso Bricks, 2 Wild Blackberry Buttercreams, 2 Grand Marnier® Caramels, a Classic Mint Truffle, 2 Maple Vanilla Bean Caramels, 2 Passion Fruit Hearts, 2 Wildflower Honey Ganache, and 2 Hazelnut Buttercreams.